The Relais de Charme La Caminella, housed in an ancient stone farmhouse of the 800 used for drying tobacco, set in a small village situated in the heart of Valpolicella, which has retained all the charm of yesteryear. 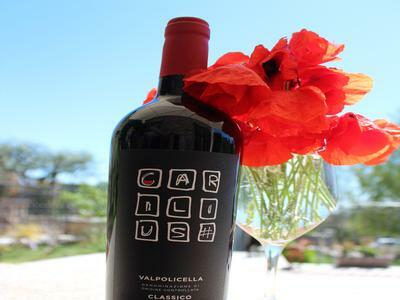 The Relais is the home of Carilius wines, ambassadors of the Veronese tradition and produced by the autochthonous vineyards of Valpolicella: the Carilius collection includes Valpolicella Classic, Valpolicella Classic Superior, Ripasso and Amarone as well as a Soave Classic. Wines that convey tradition with a touch of contemporaneity. Nestled in the rolling hills of Valpolicella, surrounded by vineyards, a delightful Relais housed in an old farmhouse, ideal place to taste excellent wines. Book directly at the Relais La Caminella and choose the best rate available at this time for the dates of your stay.